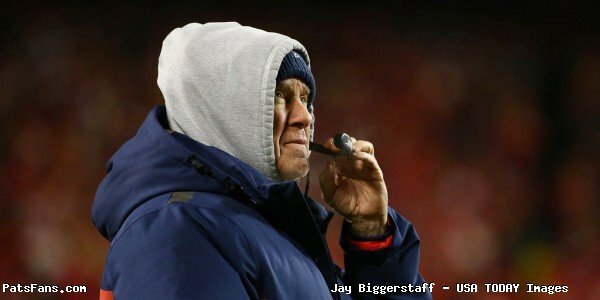 With the Patriots win over the Minnesota Vikings on Sunday, the Patriots are 9-3 and are currently the #2 seed of the AFC. They can clinch their division with a win over the Dolphins on Sunday, the first “hat and T-shirt” game of the season. Nothing is guaranteed yet, there are still four games left to play and they could finish anywhere from the #1 seed to out of the playoffs if they drop all four. But is there anyone really out there that can see that scenario? 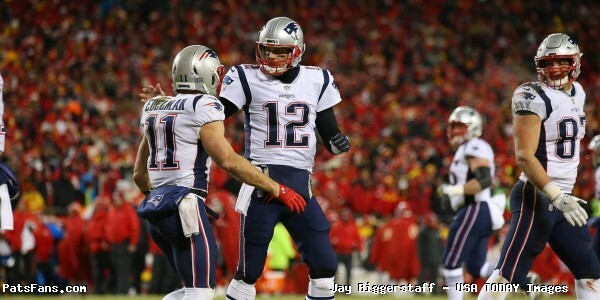 The Pats laying a stinker or two in Sept.
Did we miss any? One fan who follows us on social media proclaimed during the Lions game that the team was “going 5-11 as Bill has gutted this team with terrible drafting”, and yet here we are again. The best thing to watch on Sunday was the work of the Patriots defense. The one constant about the Patriots defense is that it is always changing. They don’t have the one signature aspect that everyone can point to and say, “Team “A” is going to have to deal with this” or that “Team “B” can’t match up with that”. It is, under Bill Belichick a unit that changes from week to week depending on the team and can morph into totally different entities. Against the Jets, they went to a heavier package trying to stop the running game that was base-heavy. Against Minnesota, they went to nearly all sub-packages, at times having Trey Flowers as the only down lineman, daring them to run, while trying to stop the pass. They did a masterful job of disguising their blitzes and the safety group was moving all around which confused Kirk Cousins to where he was forced to check down time and again to outlet receivers where the defense cleaned them up. This requires a massive amount of work and study and having players that are smart and versatile, especially the secondary which gets far too little credit. The Patriots have quietly amassed a very talented group in the secondary and they are getting better each week. 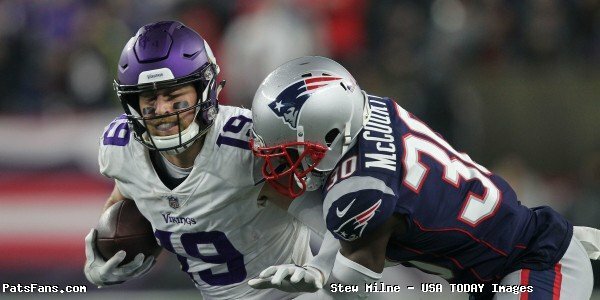 Last week, facing the Vikings talented duo of Adam Thielen and Stefon Diggs, the Pats defense, didn’t do their normal M.O. which is to try to take away their top threat and make you beat them elsewhere, they DID take away both. Thielen, who had amassed nine 100-yard games was held to just five catches for 28 yards and a 5-yard TD. Diggs had five catches for 49 yards. And right smack in the middle of it all was Stephon Gilmore. Gilmore is a corner who doesn’t get nearly the credit that he deserves for being the player that he is. Other than the Titans game where he and everyone else played terribly, he’s been lights out since the earliest days of OTAs. Joining him is Jason McCourty, who not only is playing meaningful games for the first time in his career, is also playing some of the best football of his career. Jonathan Jones and the surprising rookie emergence of J.C. Jackson has to be a source of confidence moving forward. The safety group now has four players that the team can use in just about any situation. Pat Chung and Devin McCourty are both ramping their games up to an extremely high level with Duron (The Closer) Harmon and newcomer Obi Melifonwu providing depth and versatility for the coaches to throw different looks at the opposition. While everyone south of the North Pole laments the amount of yardage that they allow. But yards passing doesn’t win football games…points do. Otherwise, the Pats would have cruised in the SB against the Eagles. And don’t look now, but that “trash” defense of the Patriots? They’re currently tied with Seattle for 9th best in points allowed with 21.6. Right on time. And the opposing passer rating, they’re currently 6th, with opponents QBs having a passer rating of just 85.9. They aren’t the most talented group in the front seven, with the exception of Trey Flowers on the defensive line, there are a bunch of workmen who bring their lunch pails to the stadium every day. Lawrence Guy, in particular, has been a great pickup for them. The Linebacker group is the same. Are Dont’a Hightower and Kyle Van Noy All-Pros? Nope but in this defense, they are as valuable as them. Elandon Roberts is someone we frequently criticize but he has the confidence of his coaches and on Sunday was flying around the field which is a good thing. They miss their rookie Ja’Whaun Bentley but who should be even better next season. Are they now a Top-10 defense? Nope. But they’re competitive and with a confidence level that they feel they can match up and slow down anyone they meet. We all heard the noise (all year) but especially before last week’s game. “They can’t stop Thielen”, or “Diggs will eat them up”, “Who is going to cover Cook underneath.” It was the same when they faced Aaron Rodgers but of course, after that game, there were the endless…yeah buts. One of the things that Bill Belichick talks about, and one of the hardest thing to do as a coach, is getting a team to “buy-in” to what they’re trying to get across with a team philosophy. We saw that fail in 2009 when he lamented on the sideline in New Orleans that the team wouldn’t do so. Judging from what we saw on Sunday, this team is all-in. What happens from here? Nobody knows, they could run the table or get booted in the first round. “Yeah but what about the Steelers’ offense?” But just this time, for once, sit back and enjoy the ride. 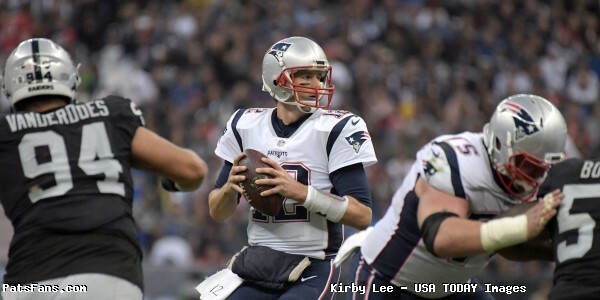 This entry was posted in 2018 Patriots Regular Season, NFL Commentary, NFL News, Patriots Commentary, Patriots Film Room, Patriots News and tagged 2018 Patriots season, Bill Belichick, Devin McCourty, Dont'a Hightower, Duron Harmon, Elandon Roberts, Jason McCourty, JC Jackson, Jonathan Jones, Kyle Van Noy, New England Patriots, NFL, Obi Melifonwu, Pat Chung, Patriots, Patriots edge rushers, Stephon Gilmore, Trey Flowers on December 5, 2018 by Steve Balestrieri. The Patriots have some holes to fill and some intriguing decisions to make in the coming weeks with Free Agency right around the corner and the NFL Draft coming up in April. And in the Patriots secondary, with Logan Ryan and Duron Harmon probably leaving via free agency, the holes to fill are big. 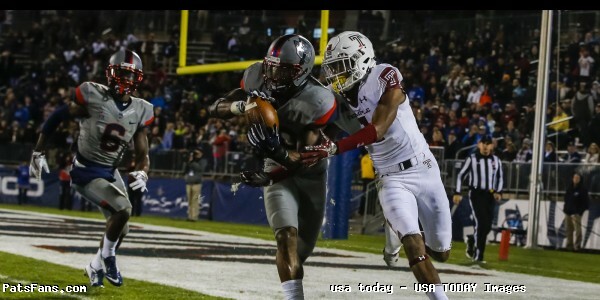 Well, UConn has a big safety that may be just what the doctor ordered in Obi Melifonwu. Melifonwu crushed it at the Combine; he measured in at 6’4, 224-pounds. He’d be the biggest member of the secondary by far. But the kid can move, he had a broad jump of 11’9 and a vertical leap of 44 inches. But the thing was, when they announced his vertical leap, he seemed disappointed that it wasn’t more. He then ran a 4.40 in the 40 which is incredible for a player of his size. Mike Mayock was raving about his versatility and that may be his biggest selling point. 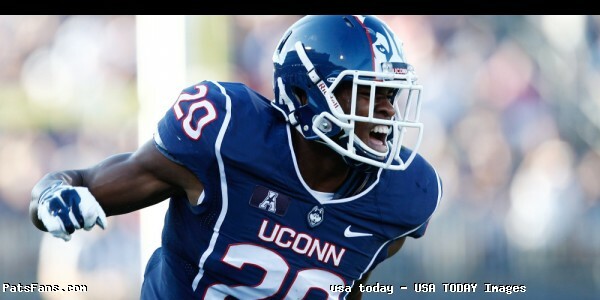 Melifonwu can play centerfield as a deep safety, has the size, physicality and tackling ability to play in the box. And as Mayock pointed out, with a matchup team like the Patriots and Bill Belichick, he can matchup with big tight ends one week and the next week be put outside on a big wide receiver the following week. Melinfonwu was an outstanding player in Central Mass at Grafton High School before going to UConn. We reached out to his high school coach, Chris McMahon about what makes him tick and what kind of young man he is. “I knew he had unlimited potential, and you knew just from watching him if he could put everything together, he would explode. And his on-field performance today…that was just incredible. He’s a tremendous athlete and an extremely hard worker. Even during college spring breaks, the kids all go to Florida, he’d come back up here and hit the weight room,” McMahon said. 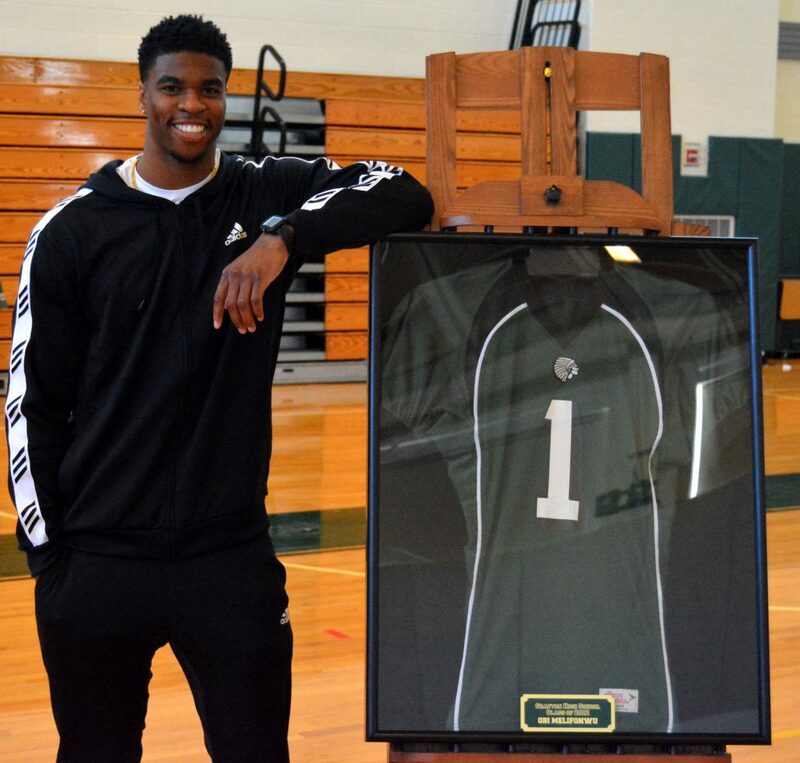 “Obi was one of the best players ever to come thru our program [Grafton] and one of the best in CMass in years. He played QB, RB, WR, and returned kicks he scored fifty-something touchdowns for us, and on defense, he played corner, safety, and even some linebacker. “It seems like yesterday that came here as a freshman and amazing to see the man that he’s become. Like I said, you always knew it was there, and it happened really quick for him at UConn. McMahon talked about the buzz that is going on with the draft now and the fact that Melifonwu may end up being a first-round draft pick. “My phone hasn’t stopped ringing,” he added. The crazy part is, Melifonwu may not even be the best football player in the family. His younger brother Ifeatu, known locally as “Iffy” just finished a stellar high school career at Grafton and is heading for Syracuse. Last summer while working out with the Syracuse coaches he ran a 4:50 in the 40….but that is for another day. The Patriots could add a very intriguing, and versatile piece of the defense in April when the draft rolls around. It is easy to envision Melifonwu wearing a bunch of different hats depending on the opponent from week to week. He’d be a tremendous fit in the Patriots defense as well as in the locker room. And he’d fulfill a position of need. 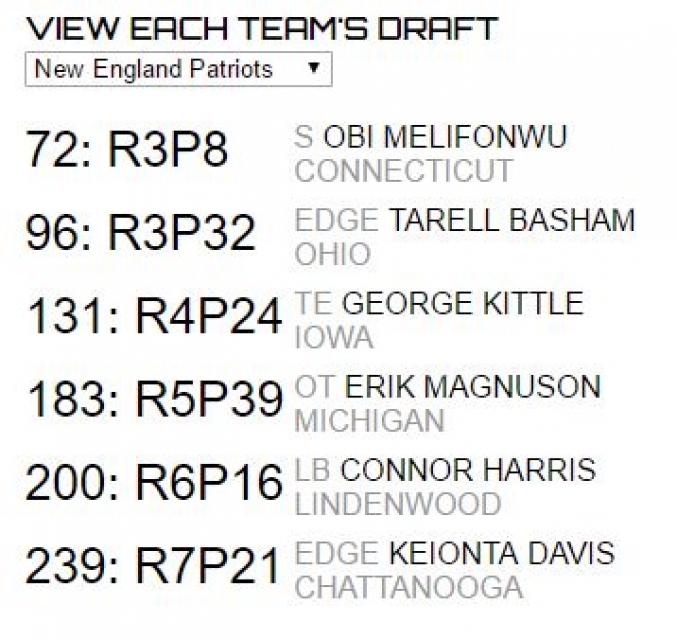 This entry was posted in 2017 NFL Draft, Patriots Commentary and tagged 2017 NFL Combine, 2017 NFL Draft, Bill Belichick, Devin McCourty, Duron Harmon, Logan Ryan, Mike Mayock, Obi Melifonwu, Pat Chung, Patriots safeties, Patriots secondary on March 6, 2017 by Steve Balestrieri.